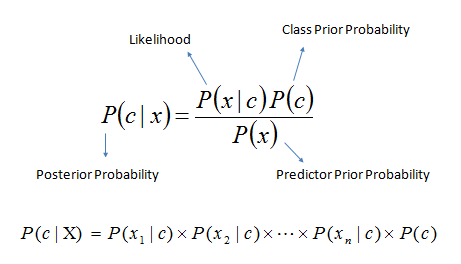 We gonna see how to use Naive Bayes Classifier very easily using python. We are going to apply this algorithm on Iris dataset . Iris dataset : There are total 150 training set in this dataset. and each training set consist of 4 feature and corresponding class ( There 3 class in Iris dataset. represented by 0 for setosa ,1 for versicolor ,2 for virginica ) . We are going to use sklearn python package, we use inbuilt function in sklearn for naive bayes classifier. Fist train the our classifier then predict class for your input, then calculate accuracy of result. Fallow code comments for better understanding. print "Accuracy Test Using accuracy_score function"